THINKING ABOUT A SUMMER JOB? 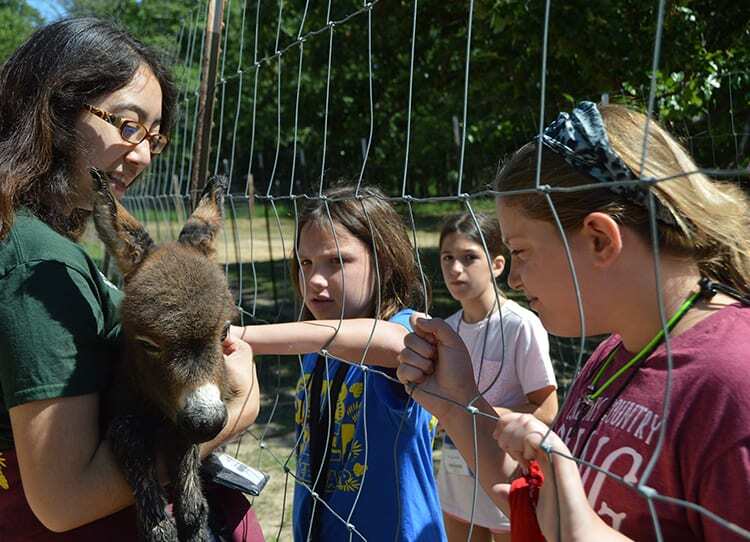 During the non summer months (September - May), Bear River Ranch loves to host Field Trips for organized groups, including; Schools, Scouts, Homeschoolers, Seniors and more! Our Animal Team will tour your group through our diverse animal area, while answering questions and telling colorful stories about the antics and care requirements of our animal family. Field Trips are scheduled early in the year and are on a "first come, first serve" basis. 10:00 a.m. Arrive at Ranch Students will gather in our meeting hall. Restrooms are available. Payment should be made in the office during this time. 10:15 a.m. Orientation and Dividing Groups The Animal Team will review the rules and schedule, and answer all questions! 10:30 a.m. First Activity Group will be led down to the animal area for their first look at the animals! 11:30 a.m. Lunch Group brings a bagged lunch, which is eaten outside if weather permits. Restrooms are available. 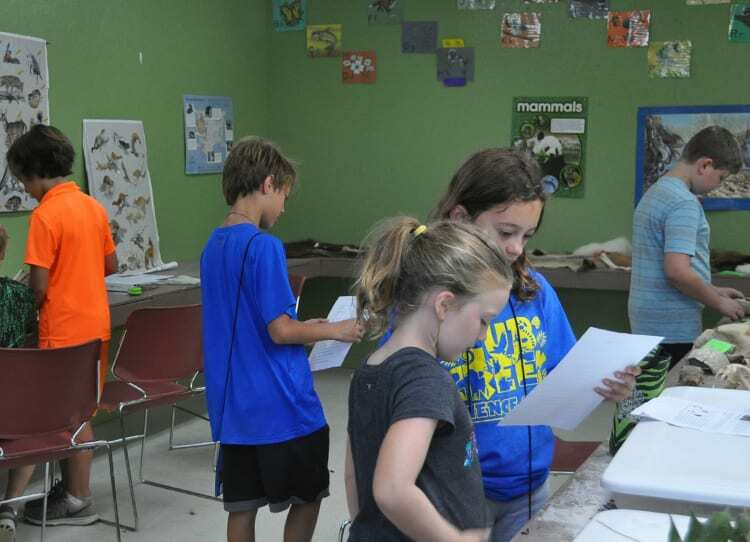 12:15 a.m. Continue Activities Students will continue on their exploration of our animal area! 2:15 p.m. End Activities/ Return to the parking lot We will wash hands and lead the group back to the front of the Ranch to say goodbye. Dress Code- Please make sure that students, teachers, and chaperones are dressed and ready for the weather. We are able to hold Field Trips in all kinds of weather! We require all guests of the Ranch to have closed-toe shoes! Guests wearing sandals, flip-flops, etc. will be asked to not travel to the animal area. Reservations- Field Trips are scheduled prior to a groups' arrival at the Ranch. Confirmation of your Field Trip is done through our main office. Walk-ins are not available. Payment Policy- Payment is due prior or at the time of arrival. All payments are made in our office or through a Cub Creek/Bear River Ranch employee. Chaperon Requirements- All Chaperones MUST stay with the group. Parents may not tour the animal area or facility on their own without an employee of the Ranch. Failure to comply with this may result in asking guests to leave the Ranch. Participant Eligibility- All participants of the Field Trip, excluding teachers with their class, are expected to pay $5. Parent chaperones and children not in the school group above the age of 3 are considered participants and should remit payment in the office before the event. A minimum of 25 students must participate for a school/organization to be eligible for a field trip. If your group has less than 25 people, you can combine with another group to meet requirements. Give us a call, we're happy to help work something out. Accessibility- Our facility is wheelchair, walker, stroller and scooter accessible! Use the form below to submit a request to have a field trip at the Ranch! We will contact you when we are processing your field trip request! *A minimum of 25 students must participate for a school/organization to be eligible for a field trip. If your group has less than 25 people, you can combine with another group to meet requirements. Give us a call, we're happy to help work something out. Submitting this form does not guarantee that a Field Trip is confirmed for your school group or organization. All requests are sent to our office and from there we will contact you to confirm dates and payment. To inquire about the status of your request or to ask any questions, please do not hesitate to give us a call at (573) 458-2125.